Fr. Basil Nortz, ORC:What is wrong with Rock Music? 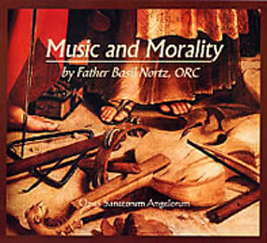 Music can be a most powerful element in disposing a person toward virtue or vice. These talks give clear reasons why music has long been considered a key factor in the moral formation of the young. They are addressed to both parents and youth.